What Realvolve Triggers and Actions are Supported? Create Contact - Creates or updates a contact in your account. Next we will ask you to give your new Account a name or label, which is just a handy name for you to recognize within Zapier. It doesn’t matter what you name it, but it does matter what you paste into the API key field! 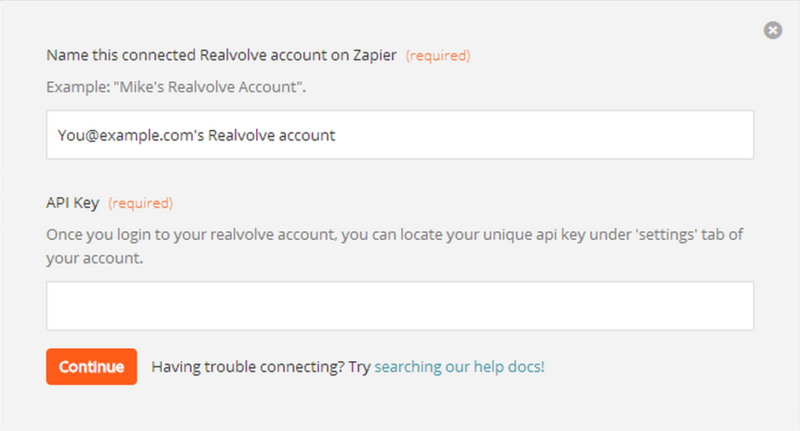 To obtain your API key, simply login to Realvolve and click on the SETTINGS menu to display your My Account screen. Select Integrations from the menu on the left-hand side and you can click on the Copy to Clipboard icon to save the Zapier API key to your clipboard. 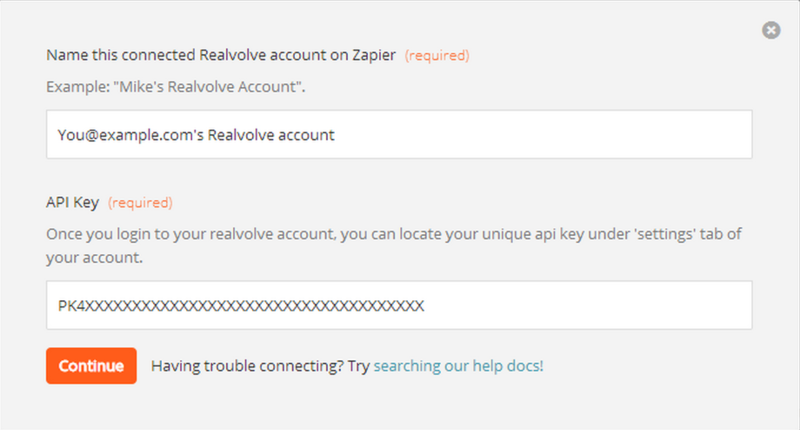 Return to the Zapier popup and paste the API key into the required field then click the Continue button. As the final step, Zapier will automatically test that your API key is good and you’ll be allowed to continue setting up your Zap. 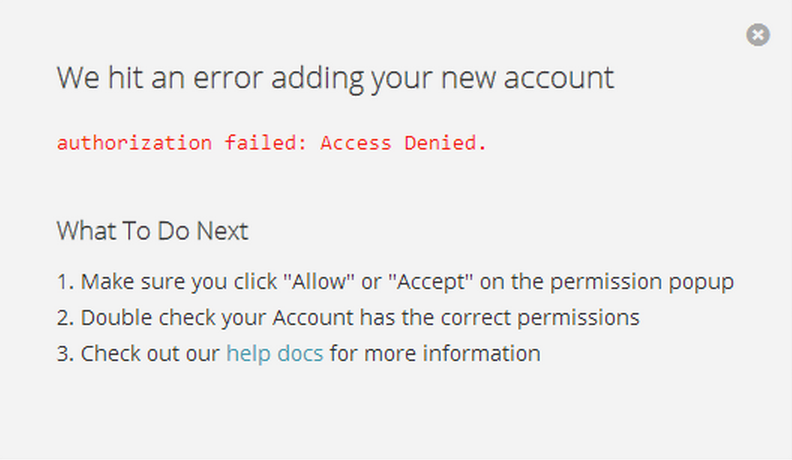 If you typed in your API key incorrectly, you’ll see the error below, correct the API key entry and try again.